Keeping your shoes in great condition is important for any fashion enthusiast. For those of us who have managed to collect a large selection of shoes, it is very likely that storage space has become an issue. A great way to free up some much-needed space is to temporarily store your lesser-worn and out-of-season shoes in a storage unit. However, if your collection contains high heels, they require a bit of more preparation than your regular tennis shoe. 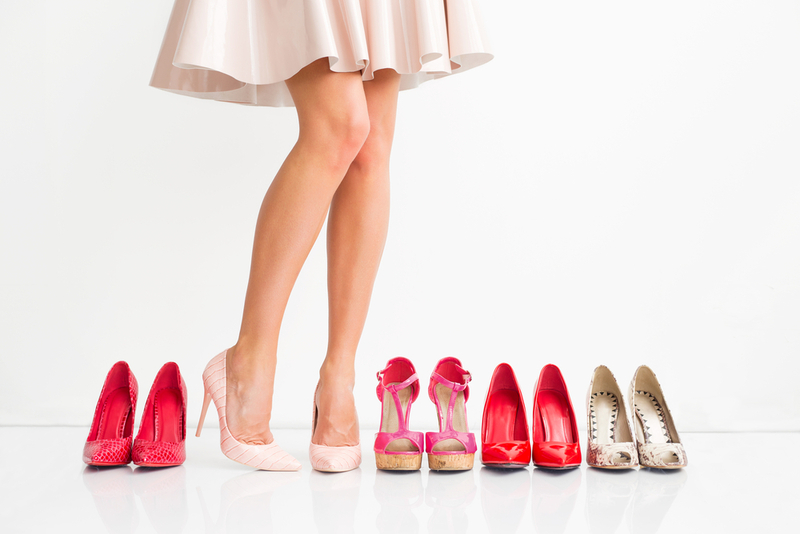 Today, Affordable Family Storage provides a few tips you can follow to properly prepare your high heels for time in a storage unit. Storing your shoes without cleaning them is a recipe for permanent damage, especially if you are planning on keeping your heels in a storage unit long-term. Give them a quick wipe down to remove excess residue. If you are planning on keeping your heels in a storage unit for at least a month, think about stuffing and wrapping them in acid-free paper. Not only will this help them to retain the correct shape, but it will also protect them from dust and residue during their time in the storage unit. If you still have the original box your heels came in, it can be a good idea to keep them stored that way. Your original shoe box is an additional layer of protection from light and moisture. This is especially relevant if you are storing your heels at home where they will not remain in a dark room. Mothballs are made with chemicals designed to repel pests, however, they also give a distinct smell that your shoes are likely to absorb. Instead, consider using cedar. Cedar is also a natural repellant that has the added benefit of leaving your shoes smelling fresh after you remove them from your storage unit. If you decide to use a storage unit for your long-term storage, ensure that the facility you choose offers climate-controlled units. The biggest threat to your heels is humidity and fluctuating temperatures. Moisture and heat can be incredibly damaging to your high heels over long periods of time. A climate-controlled storage unit will protect your collection from both. Whatever it is that you need to store, Affordable Family Storage has the storage unit for you. With our large range of available sizes and climate-controlled units, you can rest easy knowing that your items will remain in great condition. Contact us today to learn more about our state-of-the-art facility in Des Moines, IA.